Some time ago we developed a practice philosophy which tries to encompass the healthcare needs of the individual and the community. Every day, each and every one associated with the practice strives to ensure that this ideal is met. 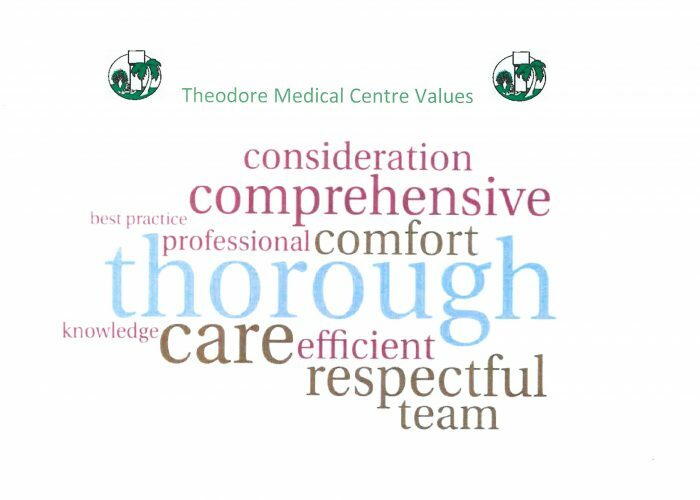 The Theodore Medical team focus on our Core Values to meet this ideal.